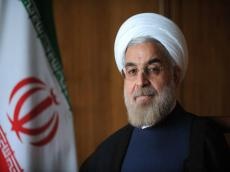 Iranian Foreign Minister Mohammad Javad Zarif announced that President Hassan Rouhani is scheduled to have a visit to Iraq on March 11, Trend reported citing IRNA. Zarif made the remarks Sunday night on the sidelines of his tour to Iraq. Iranian foreign minister mentioned no more details on President Rouhani's trip but said that the tour to Iraq is aimed at making efforts to develop relations between the two countries. Earlier, Zarif held talks with Iraqi Prime Minister Adil Abdul-Mahdi and attended a joint press conference with his Iraqi counterpart Mohammad Ali Hakim. Holding talks with high-ranking Iraqi officials, taking part in Iran-Iraq joint trade conferences in Karbala and Sulaymaniyah are also on Zarif's itinerary.